Christopher is an experienced school leader. He recently completed an MSc in Education (Policy and International Development). He is currently putting together a proposal for a PHD in history, with a specific focus on the nature of conscientious objection in the context of conflict. 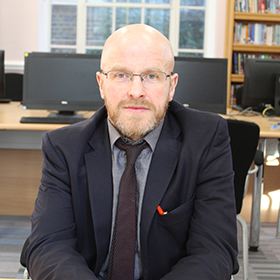 He is the first Director of the Research School at the Convent of Jesus and Mary Language College and is enthusiastic about research in education and how research can affect change in schools. He is also enthusiastic about a collaborative approach between schools and academia.